1, 2 Breathe is a positive and practical tool that will give children the skills to manage their feelings, increase their confidence and concentration levels as well as aiding their transition to secondary school. And it can help parents and caregivers, too, by promoting happines... read full description below. 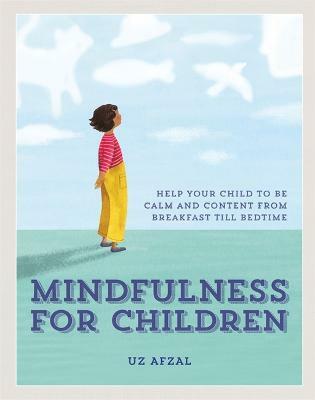 This inspirational and timely guide is about how mindfulness helps children, why it's becoming more popular and how to do it. It combines practical exercises that children can complete alongside their parents/carers with a fun and engaging commentary on the theory and science behind the practice. Uz takes you through the day, from waking, eating, learning and appreciating to sleeping, including exercises for how to cope with exams, how to deal with the screen culture and what mindfulness practises you can do in holiday time. 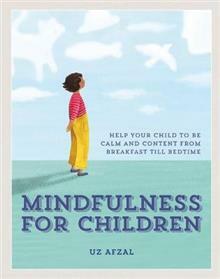 Together, this gives the reader an enjoyable and accessible path into the practice of mindfulness for children. Many schools are not able to include mindfulness in their curricula and educators and parents alike are eager to have more guidance on how to support children. This current era of rising levels of child mental health, with the pressures in schools as well as the increasingly fast-paced, digitized and image-obsessed world is having a really negative effect. 1, 2 Breathe is a positive and practical tool that will give children the skills to manage their feelings, increase their confidence and concentration levels as well as aiding their transition to secondary school. And it can help parents and caregivers, too, by promoting happiness and relieving stress. Uz has worked in state and private education for 20 years. She is trained in Paws B (primary school) Mindfulness in Schools Programme, Dot B (secondary school) Mindfulness in Schools Programme, and trained in teaching The Mindful Schools Curriculum. Uz was selected to become a consultant for Goldie Hawn's highly acclaimed MindUP Programme (active in the UK and US). She has led drop-in sessions at the Women of the World Festival at London's Southbank Centre and popular walking meditation workshops at the V&A Museum.